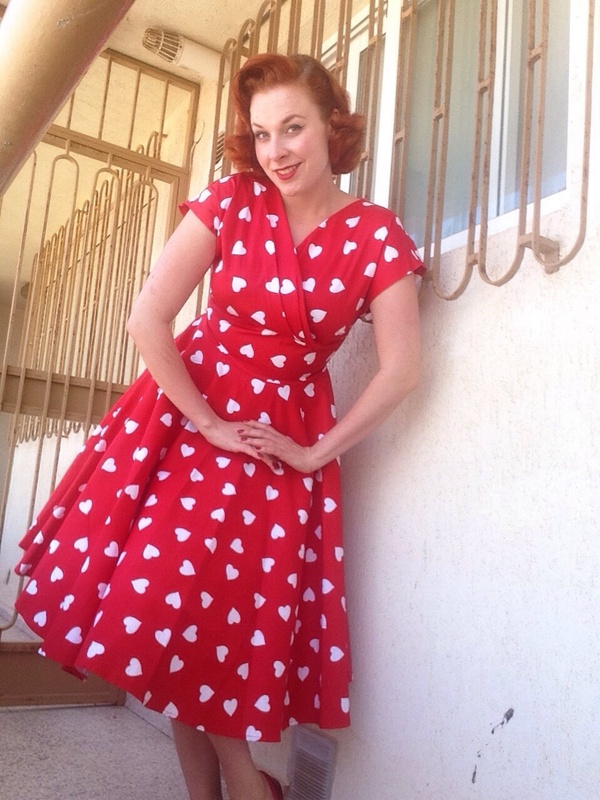 Today I review a dress that I have been lusting over and dreaming about since February. Visiting London I knew I had to visit Vivien of Holloway for the first time. After getting off the tube I walked to the store and a beauty of a dress was displayed in the window. It was around Valentine’s day, the ideal time to fall in love, and the dress in the window couldn’t be any more perfect. 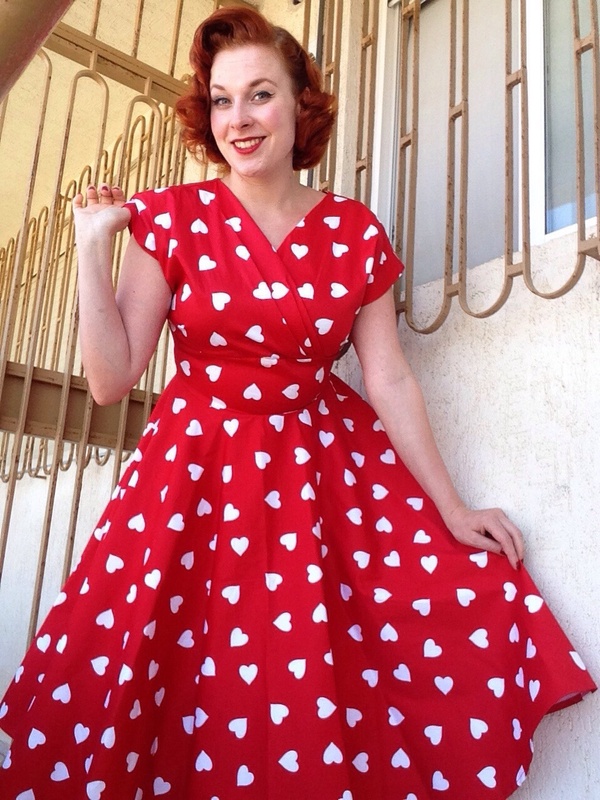 Elegant, red, classy and sassy with the heart print. I tried this dress on and I didn’t want to take it off anymore, but I had to. Broken hearted I left. Until now, now she’s mine! 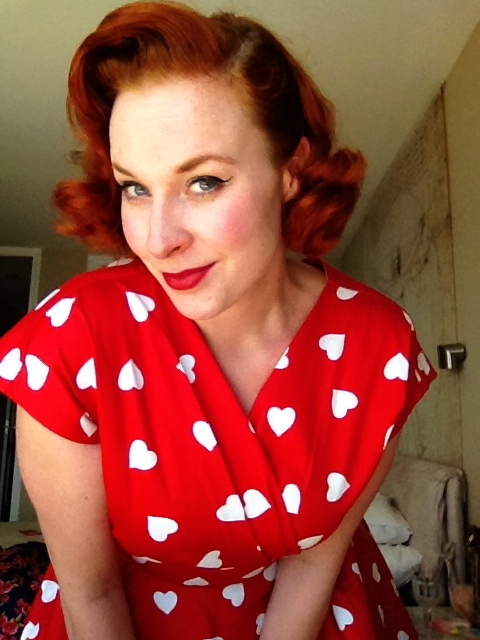 Vivien of Holloway is a UK based vintage reproduction clothing brand based on Holloway Road in London. 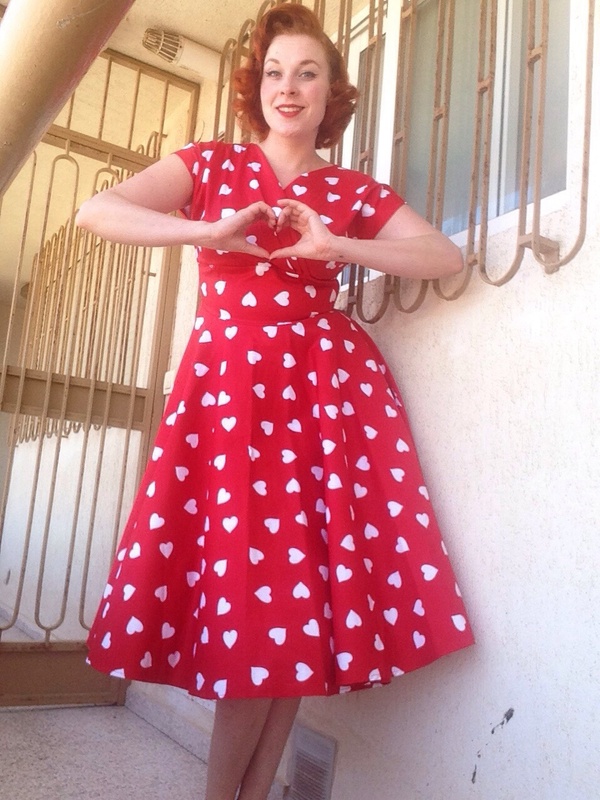 Owner and designer Vivien has been sewing vintage inspired clothing for herself since she was a 10 year old girl, and this passion and love for vintage clothing never left her. At the young age of 18 she opened her own store in the former Kensington Market and sold her handmade clothing. This later turned into her very own brand and store at Holloway Road in 2000, and Vivien has become a big name in the Vintage Reproduction scene. 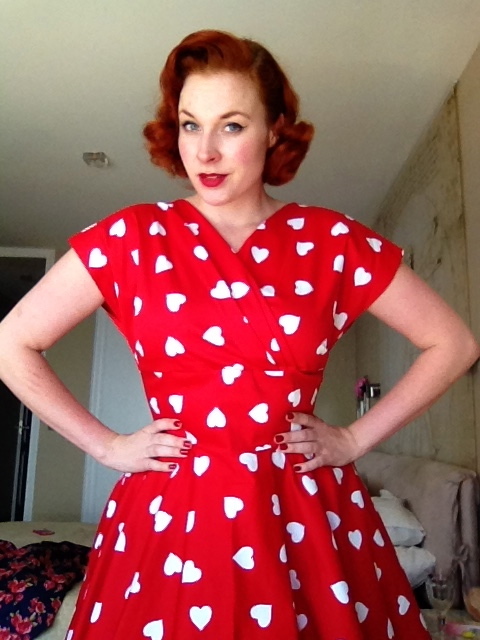 Vivien’s dresses are made with a amazing detail for authenticity next to quality and comfort. Coming into the store on Holloway Road is an experience alone. Seeing the amazing clothing and dresses will make your heart beat faster and feel like you are in heaven. The staff has great expertise, measuring you up to ensure the right fit for their dresses. The Grace Wrap dress is this dream of a dress made of cotton sateen that makes me feel like Betty Drapers ginger sister. It would definitely be something she would wear. It has this beautiful collar, that wraps your bosom, looking classy and gives a more modest look. This dress has a perfect circle skirt, fitting any size petticoat, but still will look full bough without and it’s ideal for twirling and dancing the night away. Immediately when it came in, I took it out for dancing with the Mr. and we came in second place in the dancing competition, winning a bottle of rum. Must be a lucky dress! The Grace dress comes in many different prints, in cotton sateen or sateen. If you are looking for a beautiful, breathtakingly gorgeous and high quality dress that will turn heads, any of Viviens designs will do. Go have a look on her website, but I warn you though, you might fall madly, hopelessly in love!! Super cute! Love it on you!